As one of the most memorable and romantic days of your life, your wedding deserves an equally idyllic and sentimental location. 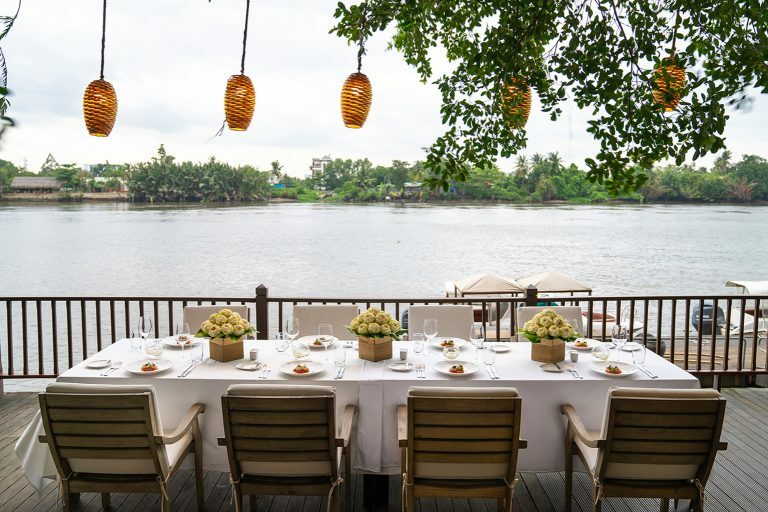 Tasteful yet stunning, An Lâm Saigon River is coveted for its warm tropical breezes, sunset emblazoned photographs and lush natural backdrops. Located far enough from the city centre for peace and quiet but near enough for ease and convenience, our riverside retreat is the epitome of romance. 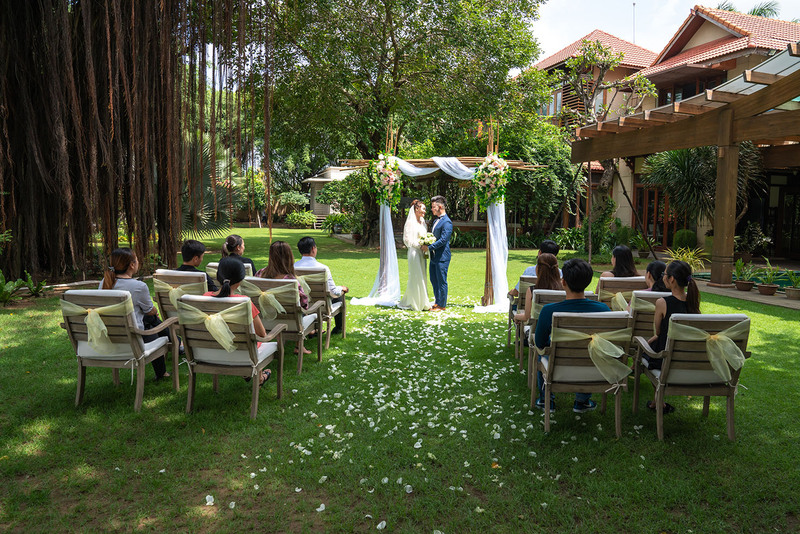 Our special event space, complete with crafted canopy and enchanted garden, has been designed to make events magical. 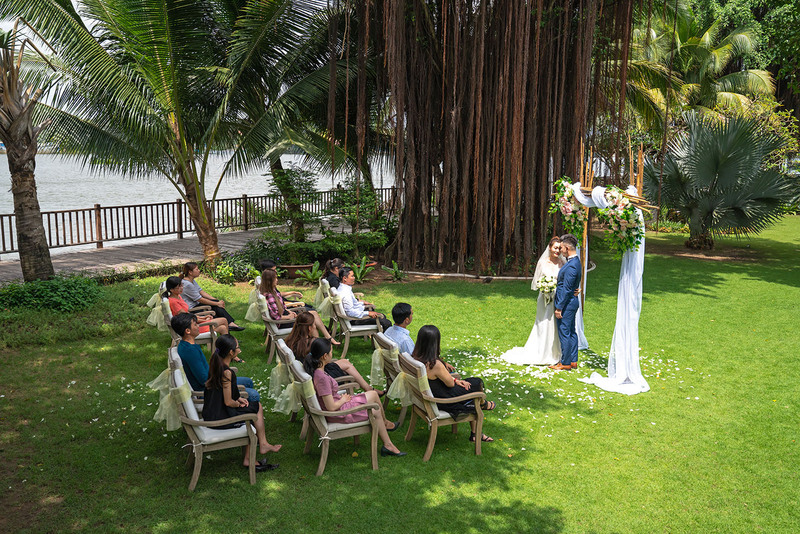 Allow our wedding team to plan your nuptials while you and your loved one enjoy a stress-free, stylish ceremony. Weddings at An Lam Retreats Saigon River are as spectacular as our tranquilly setting on rushed green Saigon River. 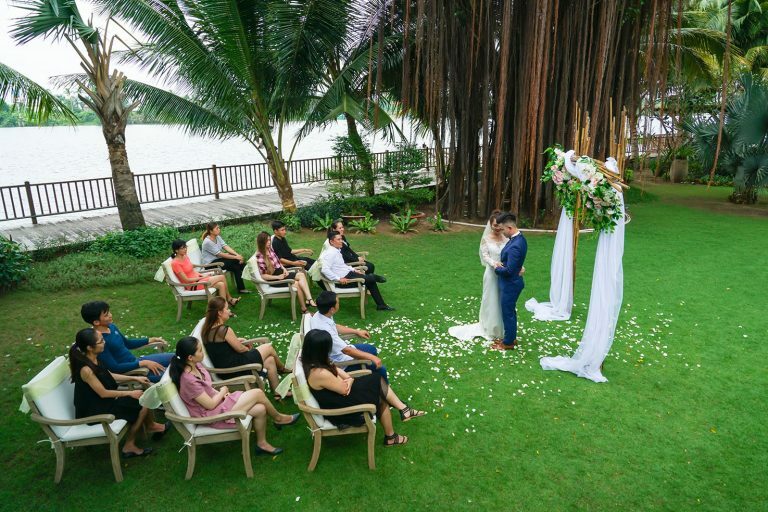 Gather friends and family around our tropical gardens. 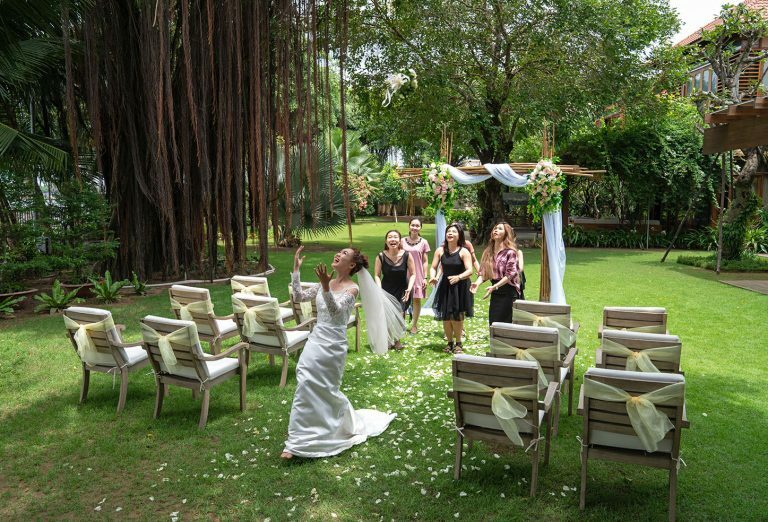 Or celebrate at one of our stylish private villas.  From invitations to wedding cakes, floral creations to memorable farewells, trust An Lam Retreats to simplify your wedding day everthing you have ever imagined. The beauty of nature and intimate serenity at An Lam Retreats Saigon River offer the perfect destination to begin a life together. 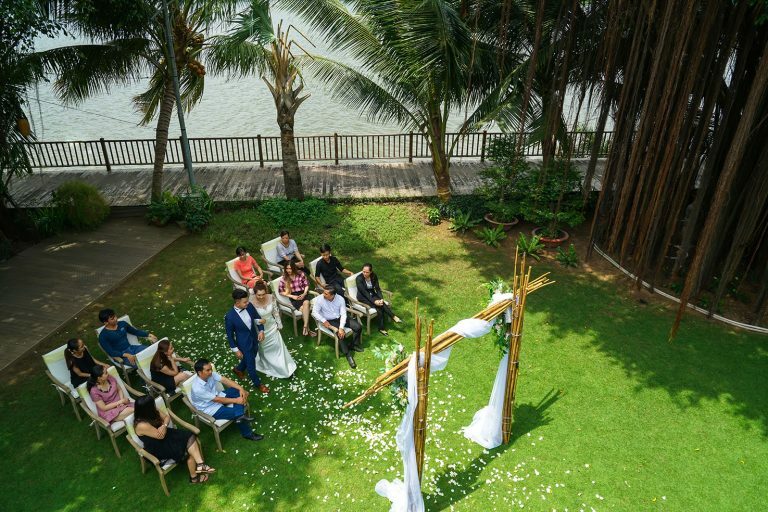 Be spoilt for choice with a range of romantic wedding venues with sweeping views of the Saigon River.